Synonymous with luxury driving and the finest craftsmanship, Bentley Motors has just launched its inaugural home collection at Beaufort Interiors in Moira, Co. Down - the first unveiling of the collection in the UK and Ireland. Beaufort Interiors joined forces with Belfast’s Charles Hurst Bentley – the only official dealer for Bentley in Ireland - for the exclusive launch, which took place at Beaufort's Georgian building, Beaufort Hall in Moira, Co. Down. As the first stockist of Bentley Home in both the UK and in Ireland, guests of Beaufort Interiors became the first in Ireland to view the Bentley Home collection which includes the Rugby armchair, Kelley console table, Leamington mirror and Stonelight table lamp. 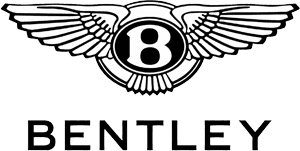 Designed by Daniele Ceccomori, Bentley’s Head of Product Design, and renowned international architect, furniture and product designer, Carlo Colombo, the Bentley Home collection reflects the renowned craftsmanship and exquisite materials that characterise the interiors of all Bentley motors. The Bentley Home collection sits alongside some of world's most iconic interior brands at Beaufort Interiors including Fendi Casa, Leolux, Poliform and Duresta. Established in 1982, Beaufort Interiors offers a full design service for both homeowners and commercial properties. Founded by Ruth Wilson, over the past 30 years, Beaufort Interiors has designed some of the finest interiors across the globe including Palaces in the Middle East, international 5-star hotels and luxury cruise liners.